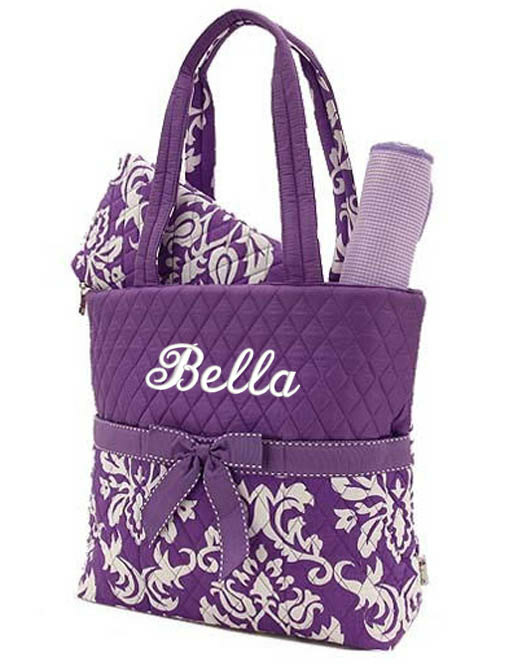 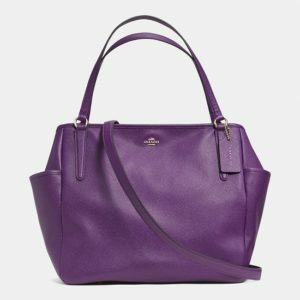 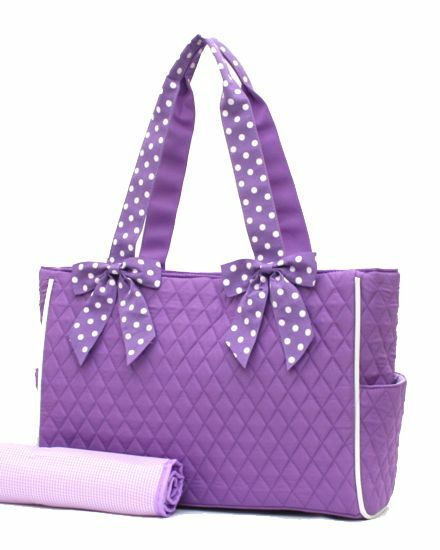 Purple diaper bags with their cuteness have become a preferred choice for moms. 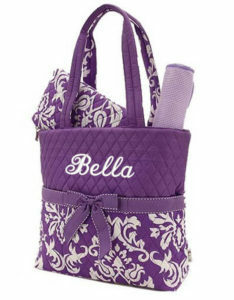 These bags have spacious compartments, changing pads, front pockets, and soft straps. Check out the entire list of such bags so that you can make an informed decision. 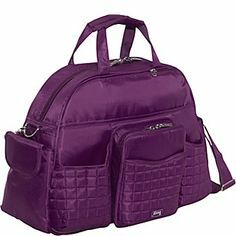 All the bags are purple yet each one has unique designs. 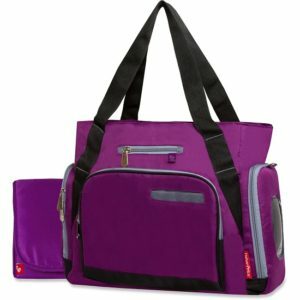 Keep a diaper bag like the following one handy while going to a picnic. 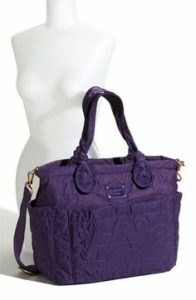 The detachable strap and short handles offer two ways of carrying the bag. 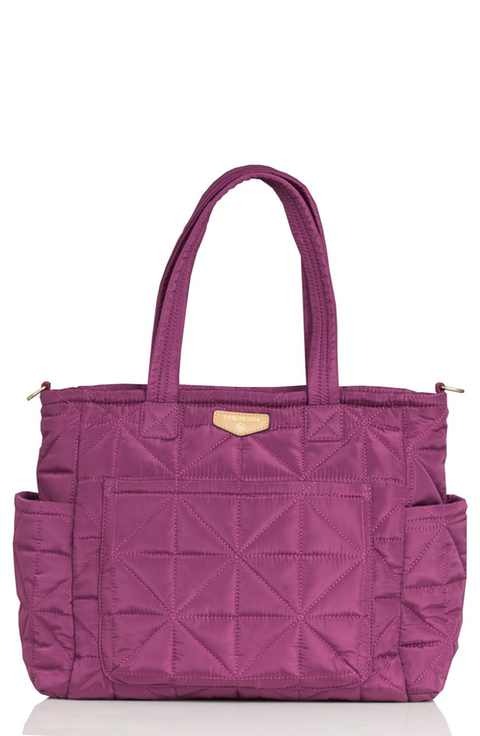 A pair of polka-dotted straps, a quilted body and two side pockets along with two big compartments make the bag one of the most sought after options for new moms. 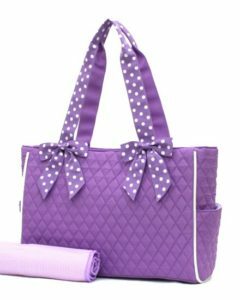 Be it a day out or your regular evening stroll with your bundle of joy, carry diapers, towels and other stuff in such bags.